Breaking July 4th warning: Eating watermelon, says a new study, can have the same effect as popping Viagra. 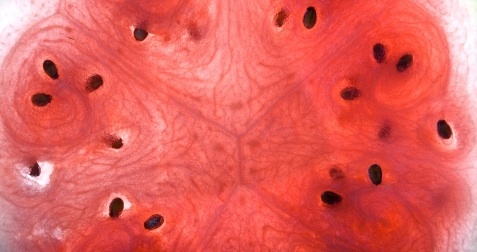 Yes, ladies and gents, the aging males at your holiday picnic may discover a new fondness for the large pink fruit. The secret ingredient is something called citrulline, according to news reports, and eating a lot of it can make Gramps feel as sprightly as a 14-year-old boy. Better stock up on extra watermelons for your 4th of July barbeque. Watch yourself around anyone who has a suspicious number of rinds on his plate. And be on the lookout for opportunities to say: Is that a watermelon in your pants, or have you just been overeating? #54: Don’t Call July 4th “Our Nation’s Birthday.” Outmoded holiday nicknames — Turkey Day, St. Paddy’s Day — are lame and old. 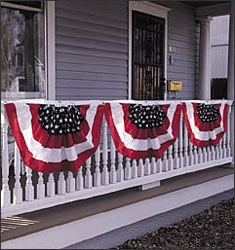 #55: Don’t Hang One Of Those Flag Bunting Things On Your Front Porch. Very D.A.R. : colonial, dowdy, old. Though I have to admit I have a perverse fondness for these half-circle flags and have one I bought at a yard sale years ago that I can neither bring myself to hang nor get rid of. #56: Don’t Plant Your Metal Folding Chair Right At The Curb On The Parade Route. Let the little kids hog the front rows. You stand gracefully in back, and if you get tired, go home and take a nice nap. #57: No over-themed food. No red-white-and-blue potato salad, no cupcakes with little flags sticking out of them, no jello mold. Although Jello Mold might be so old it’s young again. #58: Watch those Oooohs and Aaaahs. 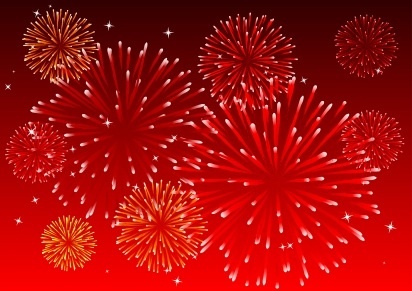 There seems to be an inverse relationship between the number of times someone has seen Fourth of July fireworks and their audible ooohs and aaahs, with grannies, who ought to be so jaded they barely glance skyward, invariably the most vocal. I was going to say you should therefore contain yourself, but you know what, screw it. If getting old means you’re more comfortable showing your excitement over an everyday wonder, bring on the birthdays. Oooooh!